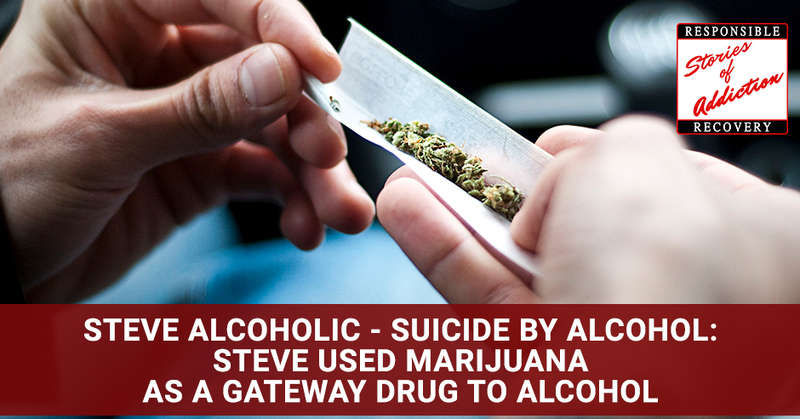 Steve used marijuana as a gateway drug to alcohol. He started using marijuana at age thirteen with an older brother and some friends. By age fifteen, he got into alcohol. By age seventeen, he stopped using marijuana because it did not mix well with his heavy alcohol use. Everything Steve did had to have alcohol involved with it in order for him to find it fun. Steve was a functioning alcoholic until his mid-40s when his addiction caused his life to fall apart and he tried to drink himself to death. Suicide by alcohol was prevented by Steve’s twenty-year-old son, and his love for his family turned into greater respect for himself and a pathway to recovery. Now Steve is in a much better place but he is still weary of relapse. I will be talking to Steve about his addiction and recovery from alcohol. Steve is 49 years old and started using alcohol at age fifteen. Steve has been seven months clean. Welcome to the show, Steve. Steve, how did your addiction start? Like most when you hear about addiction starting, they all start with weed. That was where I first started, smoking pot at a young age. Then from there, it led to alcohol. I absolutely loved alcohol. I love to drink. I love the effects of it. It continued all my life up to about seven months ago. You said you started with weed. What age were you when you started with weed? Probably about thirteen or fourteen. I was living at home with my parents and I was the youngest of an older brother and two older cousins. I’m not blaming them but they like to smoke weed. Naturally, I was involved with it. That was my first experience of getting high. Where were you physically? What neighborhood? What city? You spend a year or two smoking weed and then that then led to alcohol. Can you talk to me about that transition? Alcohol was thrown into the mix while I was smoking weed too. That was an extra bonus having the alcohol to go with it. On the weekends if my parents were gone, we would go to my cousin’s house and their parents, my aunts and uncles will be gone. We all smoked weed and being my age, my brother would give me alcohol. It would be a beer or two at the most. That’s all I can handle at the time. When did beer progress to hard liquor? In later teens, I would say. I’d have a shot here and there probably when I was about fifteen or sixteen. Hard liquor wasn’t my thing until I got older in my twenties and then I would drink hard liquor along with beer. Were you still smoking weed at that time? No, I stopped smoking weed when I was about seventeen years old. For some reason, it did a reverse effect on me and I started getting super paranoid. It made me feel sick and anxiety-ridden. It wasn’t fun anymore. I stuck to alcohol. When were you aware that there was a problem with alcohol? I knew years many years ago. In my twenties. I was what you call a functioning alcoholic. I always made a point that I never drank in the morning or at work. It was always after work and on the weekends. Everything I did, no matter where we were, who we’re with had to involve alcohol. We could never have fun without alcohol. Even going to the park, taking the kids to the park, going to the beach, anything, we had to have alcohol. When you say alcohol in those days that you are taking the kids to the beach, what alcohol were you taking with you? Mostly beer. Coolers full of beer. I’m assuming you’re not talking about drinking one or two beers at the beach? At least a twelve-pack between the two of us. If that ran out, then one of us would run up the hill to go get more. You said taking the kids to the beach, do you have children? My oldest son is 27 and my youngest is seven. You had your first son when you were approximately 22 years old? Alcohol Addiction: Everything I did, no matter where we were or who we’re with, had to involve alcohol. We could never have fun without alcohol. In many ways, you had quite a normal adult life. You were married, I assume? I’ve never been married. I’m engaged twice. You had a partner with whom you had a child and you were playing the role of the father and you were drinking hard. There must have been a period where you thought it was normal. I wasn’t a fall down drunk the majority of the time. I did take care of my kids. After work, there was a constant buzz where I reached a limit to where I could take care of business. Was there a time where it came that you knew this was not normal? That your drinking was not just a couple of beers? Absolutely. It got to the point where I could down a twelve-pack like nothing after work and half a pint of Jack Daniels. It was not having a big effect on you? I had a good buzz. I felt like crap in the morning and I go to work hung over and start all over the next night. Were you using things like cocaine to enhance your ability? Never. When I was younger, I experimented with cocaine. I experimented with acid and shrooms. I tried crystal meth or crank when I was young, but that was in the ‘80s. From the late ‘80s all through the ‘90s up now, it was just alcohol. What was your turning point that you figured that you needed to change your direction? Life takes twists and turns and things happen that you can’t control. I went through some horrible tragedy. I was in Tennessee at the time. My youngest son’s mother and I moved to Tennessee and that’s where my whole world came crashing down. We were both, at that point, major alcoholics. We were drinking every chance we got after work. We were drinking heavily. We were fighting a lot. It was ugly. Then we separated and some terrible things happened. I came back home here to Santa Cruz and tried to drink myself to death literally. I don’t give an F and I was just drinking every second as much as I could. Luckily, I had some family and my oldest son to help guide me in the right direction to where I am now. Showing that I have people that love me and care for me and that there is hope. Trying to escape reality by intoxication and just trying to end it was not the answer. How did that physically play out? Did you go to a detox center or a recovery center? No, I did it on my own. I realized that it was time and I didn’t want to die. Two things we’re going to happen. I was going to end up in the hospital or eventually, I was going to die. That’s what I was trying to do. I was trying to drink myself to death. I realized that I didn’t want it to happen. When you were trying to drink yourself to death, what were you drinking? You were buying two or three handles of vodka at a time? One by one and then stagger back down the street and go get another one when it’s done. I’ll pass out and wake up and do it all over again. My son found me and I had a place to stay. I sobered up for a couple of months and I went to live with some family in Oregon for a bit. Your son found you and you had a place to stay, did you stay with your son? No, he was living in a small place with his girlfriend at the time. That would have put a strain on their relationship, the condition that I was in, which is understandable. I didn’t want to put that burden on him. I stayed in the motel. You were on your own in a room in a motel refusing to take alcohol? You’re probably aware that where a lot of alcoholics die is from the seizure associated with the absence of alcohol from their system? Correct. I made a call to my cousin in Oregon. He came and got me. While I was in Oregon for almost a year, I continue to drink, not heavily. They drink and I figured it was okay. I didn’t drink as much and I slowly started to wean myself off. As time went on, it got easier and easier and then I came back home here again because my son’s here and I wasn’t happy in Oregon. The thought of drinking was overwhelming. I wanted to drink more and I want to continue drinking and that’s when I came here to the Gault House. For our audience who and don’t know, Gault House is a sober living environment in Santa Cruz, California. Do you feel lucky? Alcohol Addiction: For anybody that wants to become sober, they have to want to do it and take those first steps. I feel great. I haven’t felt this good in years. You’ve got seven months clean from alcohol. That’s any alcohol? Alcohol didn’t make you fat. You might’ve had a few extra pounds, but you look pretty trim. I’ve always had a pretty fast metabolism, my whole family. If I put on ten pounds now, I can lose it in two weeks. In the middle of your addiction, on your worst days, you weren’t overweight? No, I was super depressed and I wasn’t eating well. I was mostly drinking. You turning away from alcohol was associated with your recognition that you are literally going to die an ugly death. You’re either going to die a quick death, which might’ve been welcome or a protracted and ugly death. It was those thoughts that were the initiation of your turn away from your addiction. Yes, I don’t want to do that to my kids, especially my family. That would have been selfish. What is keeping you clean now? For the love of my kids and myself. My self-esteem is back. Things are going great. I have a whole new outlook on life. Clarity is an awesome thing. To be able to look at the world and the ocean again and go and do things and try to form a relationship and all that is a whole new beginning instead of a staggering, slurred existence. What do you think are the keys to recovering from addiction? Having to want to do it. You have to want to do it. No one’s going to do it for you. I was lucky I had a family to say, “We’re here. We love you,” but it was up to me to do it. For anybody that wants to become sober, they have to want to do it and take those first steps. What is your opinion of the Twelve Step Program? I personally have a very high regard for AA, NA and all that surrounds those organizations. Do you also have the same opinion or what are your thoughts on AA? I love AA. They’re good people. Everyone’s there with their story and they’re there for you when you need that guidance and that helping hand to guide you in the right direction. What do you think your future looks like? My future looks great. It’s looking brighter every day. I still have dreams about drinking. That’s going to be something that’s going to be with me for a while and that’s normal. At least when I wake up, I know that I didn’t drink and I can go to work, feel good about myself, and not worry about if I’m going to drink again because I know in my heart I’m not. In our society, there’s so much exposure to alcohol. 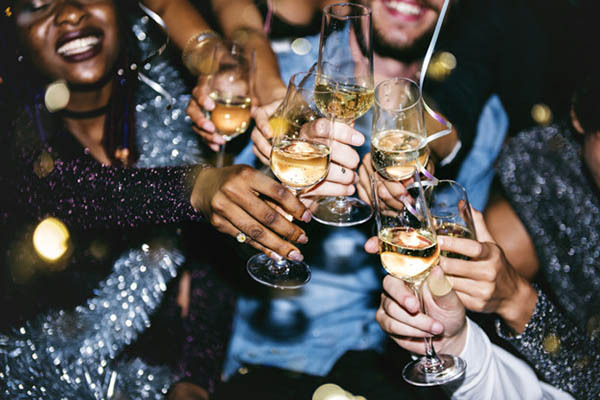 It’s often said that alcohol is being grandfathered into society and that if alcohol was invented now, it would be illegal given all that we know that the damage that it can do. Do you have any thoughts on the long-term solutions for our society associated first with alcohol and with drugs? A long-term solution, I believe honestly that there won’t be. There’s too much money being made on alcohol. As far as weed, that’s been legalized. As far as the outcome on that, it’s all about the money, unfortunately. Do you think humankind has a propensity to get wasted? Absolutely. They have been since the first day that man and woman walked the Earth. How’d you think a sober living environment has played a role in your life? It’s huge, being clear-minded and being able to think clearly and function on a daily basis. Sober is awesome. You never went to a recovery center, you never went to a $30,000 per month detox center as they sometimes are referred to. The only institutions that have helped you as far as I’m hearing are your loved ones and a sober living environment. Yes, and the will to do it. You have to have the will. Otherwise, it’s not going to work. That’s one of the primary messages that I’m hearing from you is that you need to want recovery in order to get it. For our audience out there that might be inspired by our talk, Steve’s major point of input is you need to want this in order to get it. If you want it, you can get it. I want to say thank you, Steve, for being part of the show. To everyone, we want you to stay sober and be happy. Steve is 49 years old from San Jose, California. He has 7 months clean and sober. Steve started using marijuana at age 13 with an older brother and some friends. By age 15 he got into alcohol and by age 17 he stopped using marijuana because it did not mix well with his heavy alcohol use. Everything Steve did had to have alcohol involved with it in order for him to find it fun. 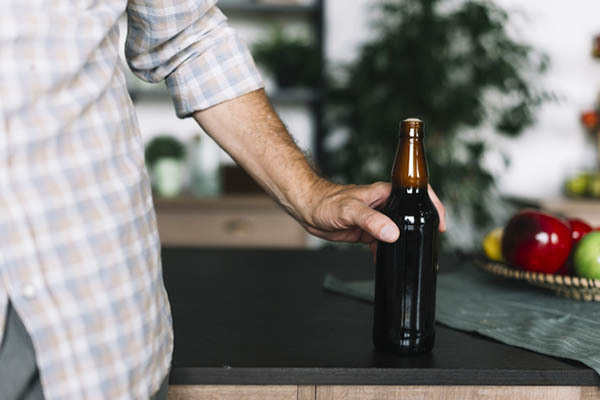 Steve was a functioning alcoholic until his mid-forties when his addiction caused his life to fall apart and he tried to drink himself to death. Suicide by alcohol was prevented by Steve’s 20-year-old son and Steve’s love for his family turned into greater respect for himself and a pathway to recovery. Now Steve is in a much better place but he is still wary of relapse. To learn more about recovery from addiction and to get started in the Recovery Lifestyle, join our mailing list here at http://www.ResponsibleRecovery.net and join the conversation taking place on our FaceBook group and follow us on Twitter. Call Us for APPLICATION .